This top has wide lacing on the front. 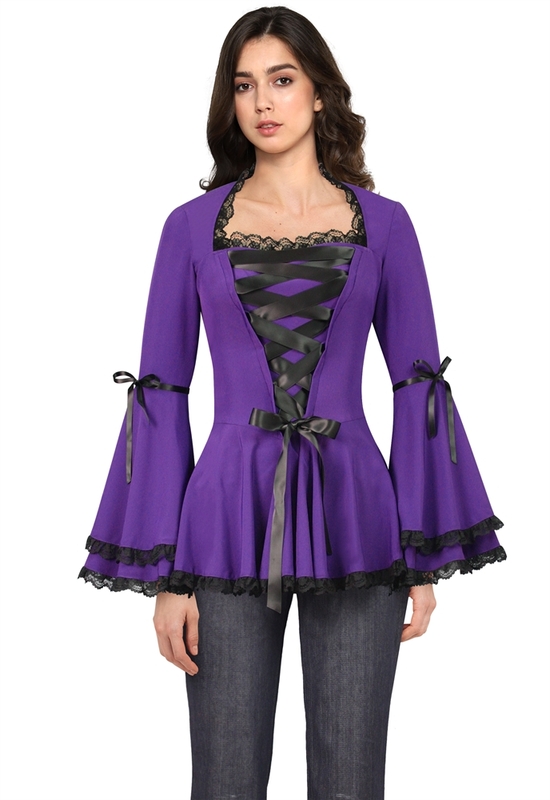 The sleeves are double cuffed full angel sleeves with a small ribbon below the elbow on the upper forearm. The bustier, full double cuffed sleeves and full skirting are all edged in lace. Side zipper.